Martin Roll was invited as a guest speaker at the DABGO Annual Conference 2017 event on 2 Aug 2017 at the Copenhagen Marriott Hotel. During the session, Martin Roll spoke about Denmark as a global brand and how its nation branding can be enhanced for businesses to ignite more growth. DABGO (Danes Abroad Business Group Online) was founded in 2007 by Danish businessman and serial entrepreneur Jesper Lovendahl. DABGO is a network of more than 10,000 active global Danes who are interested in building new relationships and discovering new opportunities. Martin Roll opened the session by giving a thought-provoking overview of the benefits that nation branding can have on various branding initiatives. When a nation has a strong and positive brand in the international arena, it will be more attractive to tourists, skilled workers, and investments. It will also be more resilient to financial crises and be better able to sustain higher prices. Businesses will also benefit from positive country-of-origin effects, a halo effect on its products, and an increased ability to export. Martin Roll discussed the example of IKEA, where the Swedish company is doing more for the image of Sweden than any governmental efforts combined. It is time for brands in Denmark to think of ways to leverage on the positive country branding that the Scandinavian nation has and reap economic rewards. Just as former US President John F. Kennedy elegantly put it: “The time to repair the roof is when the sun is shining”. When one thinks of Denmark, its beautiful architecture, sense of design, good food, clean oceans and quaint country life comes to mind. The fact that Denmark consistently tops the UN’s World Happiness Report definitely contributes to its positive country image. With this good head start, Martin Roll believes that the country is well-poised to further enhance its brand on the global stage. Copenhagen Airport remains as the face of Denmark and it welcomed over 29 million transit and arrival passengers in 2016. An effective way to raise the international status of Denmark is for management to create a world-class airport experience for visitors in order for them to experience what Denmark has to offer. Another way would be to expand influencer networks to communicate more broadly and with more impact. Some networks that can be leveraged on include Nation2Nation and the Copenhagen Goodwill Ambassadors. In addition, doing business in the 21st century means embracing digital. It is important for Denmark to boost its digital media efforts through more concerted efforts and accelerating new global programs for more reach and better impact of the country brand. Martin Roll believes that building and sustaining strong and iconic global national brands requires public-private partnerships. For guidance, Martin Roll advises nation brand creators and custodians to look towards the global best-in-class example of Singapore. The Singapore Tourism Board (STB) is a statutory board under the Ministry of Trade and Industry of Singapore. It champions the development of Singapore’s tourism sector and runs marketing and promotional initiatives for Singapore as a tourism destination. In addition, the Economic Development Board (EDB) works hand-in-hand with STB to plan and execute strategies to enhance Singapore’s position as a global business center. Singapore has emerged as one of the most successful business and leisure hubs worldwide, and the highly concerted efforts between STB and EDB, and a global strategy led by the government of Singapore, has resulted in the phenomenal success of Singapore as a nation. Apart from public efforts, the prominence and pioneering achievements of Singapore’s most famous brand, Singapore Airlines, has strongly contributed towards the success of Singapore and its brand equity. Their famous icon, The Singapore Girl, has done as much for Singapore’s image as its political stability, infrastructure, dedicated workforce and extensive network of Free Trade Agreements. 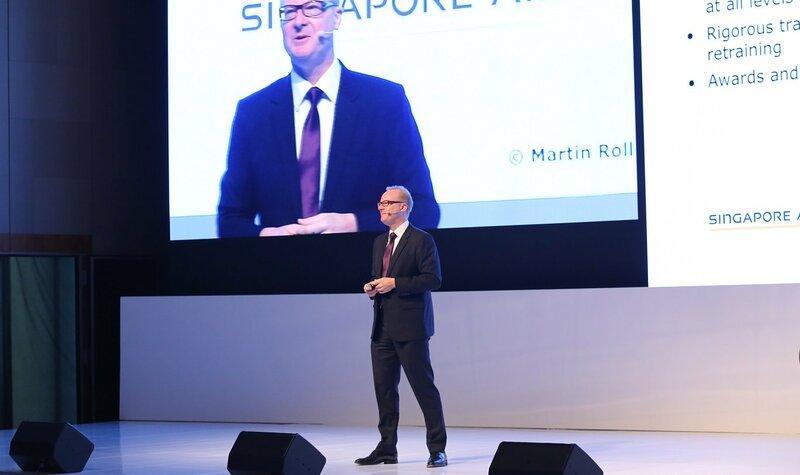 According to Martin Roll, Singapore Airlines has contributed at least 20% to the overall nation brand equity of Singapore – indeed a remarkable achievement. Looking at the international landscape, worldwide shifts including the rise of Asia and emerging consumer classes are providing new growth opportunities for both businesses and countries. Global urbanization and increasing affluence is projected to contribute to overall growth. It is hence important for businesses to instill a two-tier approach: Firstly, focus on ensuring quality and product authenticity. Secondly, enhancing their end-to-end stakeholder journeys and consumer experiences in order to effectively leverage on a country’s positive nation branding. The Denmark Brand 2.0 has an enormous untapped potential for further growth, and bold decisions are needed to take the nation brand to the next level.